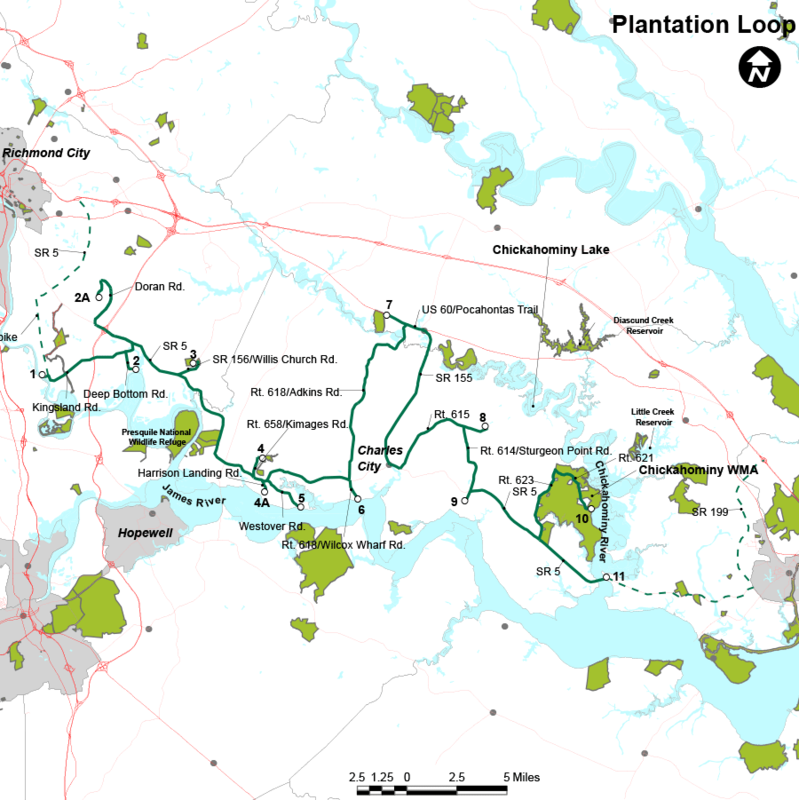 The Plantation Loop consists of several sites just 10 miles southeast of Richmond and 15 miles west of Williamsburg. Early settlement of this stretch of rich agricultural land, with easy navigational access along the James River, led to the development of numerous plantations. Many of the James River plantations have been restored and are now open for house and grounds tours. The main attraction for most visitors is the history and grandeur of architectural design of the plantation homes, but the avid naturalists will find the gardens and surrounding natural areas a pleasurable place for wildlife watching. The history of numerous plantation loop-area venues makes taking your time in this fascinating region well worth it. The James River is the main water source for the sites on this loop, which include various parks, boat landings, plantations and a fish hatchery. These sites offer a diversity of habitat including riverside shores, riparian thickets, eastern arboreal forests, mixed-deciduous woodlands, grassy meadows, and the waters of the James River.n a breakneck gallop.